To put it kindly, the BMW iNEXT isn’t exactly a fan-favorite. When it first debuted, it was met with a lukewarm response and that’s being nice. Admittedly, the iNEXT was unveiled at a bad time. The Audi e-tron had just been revealed and the Jaguar I-Pace was already making big waves. So the iNEXT seemed like an ugly duckling compared to its competition. Having said that, the real car might be quite a bit more exciting than the seemingly lame-duck concept, as evidenced by this new spy video. 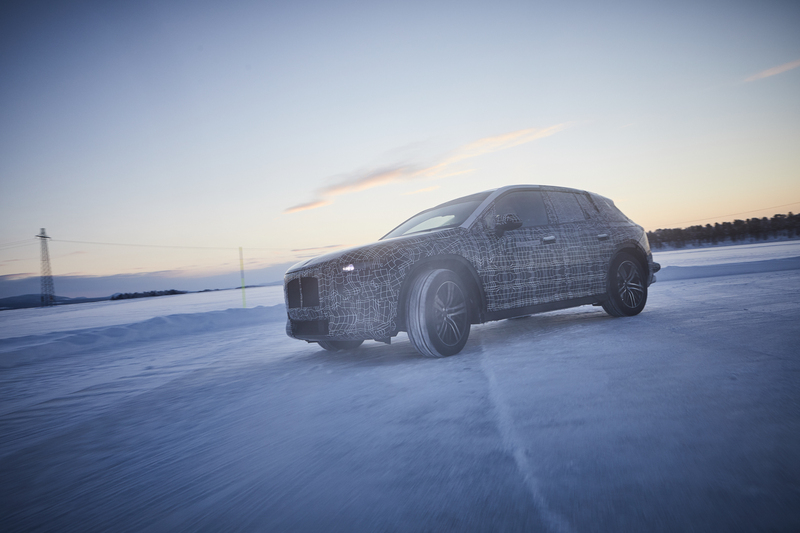 In this new video from Motor1, the BMW iNEXT is seen having some fun in the snow. While the concept car seemed like a stuffy, techy, autonomous crossover, this test mule seems like a proper BMW. It gets very sideways through the corners of this snow course and seems to actually hold slides surprisingly well. Electric cars are not exactly known for their drift-ability. Tesla had to add a specific software more for the Model 3 to allow for a bit of a slide and even that doesn’t work perfectly. So holding a slide in an electric crossover is kind of hilarious, even if it is in snow where sliding is easy. It looks different than most BMW SUVs as well. At the back, there’s actually a whiff of Jaguar I-Pace, thanks to its roofline, spoiler and pronounced rear hatch. I do find it odd that BMW put fake exhausts in the camouflage wrapping, possibly to throw onlookers off its scent, yet the car still wears “Electric Test Vehicle” badges. There are also some weird design touches, like the brake lights being super low on the rear bumper (though that’s almost certainly just for test mule duty) and its side mirrors being placed lower on the actual doors. The latter of which is a bit unusual for BMW, who usually places side mirrors on the A-pillar. Placing them on the door is more aerodynamic while also allowing for less wind noise in the cabin at speed, so it makes a bit of sense on an electric car. 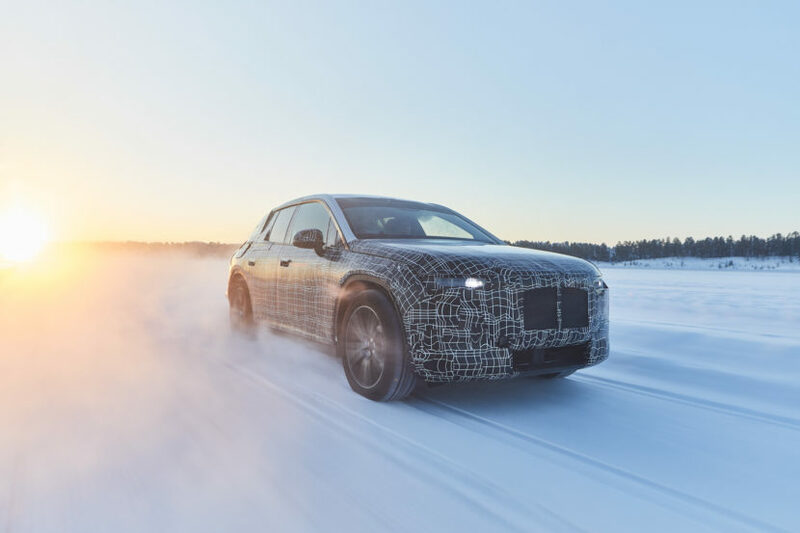 So this new BMW iNEXT is going to look quite a bit different from the traditional BMW but it seems as if it’s still going to drive like one. At least in the snow it will.